The interactive model of the Ross Spiral Curriculum embodies the systems approach to education, presenting a nonlinear representation that allows in-depth exploration of its content. The interdisciplinary Learning Experiences and Integrated Projects are mapped onto a timeline of history and visualized as networks. The model invites analysis of cross-grade thematic connections, or threads. Among these is the Sustainability thread, which follows this critical curricular theme from kindergarten through twelfth grade, highlighting the units and Learning Experiences that features studies of sustainability. The Spiral Interactive was developed in collaboration with Santiago Ortiz of Moebio Labs. 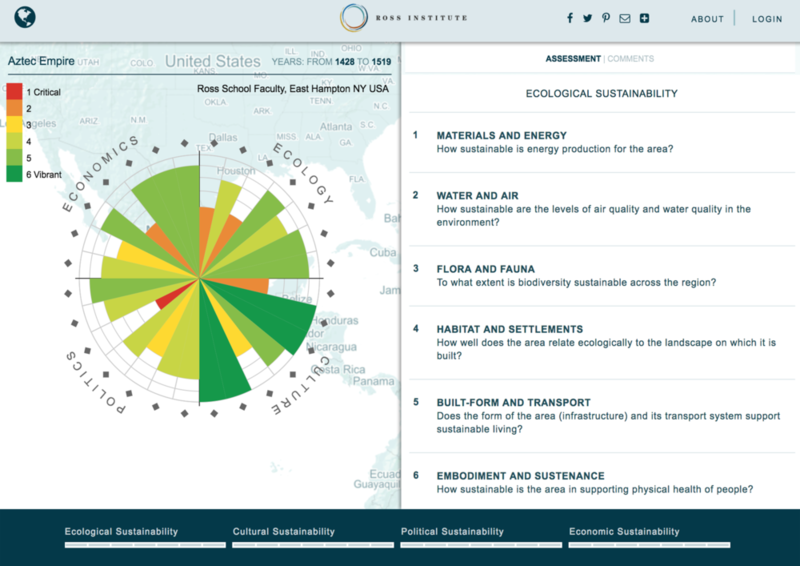 The Project Circles web app guides students in collaboratively assessing the sustainability of a selected location, in either the contemporary or a historical time period. Through research, investigation, and fieldwork, students determine how the location rates in terms of the sustainability of its culture, politics, ecology, and economics. 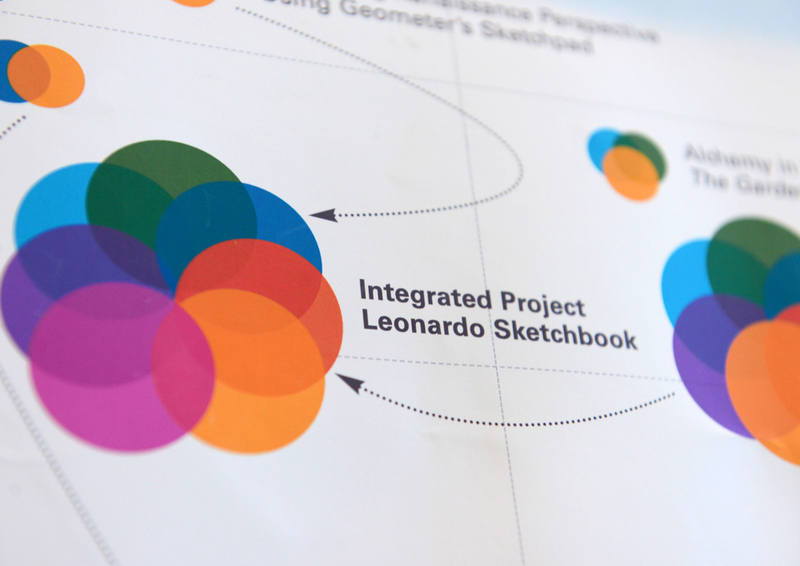 They note how they arrived at the ratings and generate a profile circle as a visual representation of their findings. Students then examine their data for connections among the different areas assessed. This tool was developed with the participation of the Circles of Sustainability consortium at the University of Western Sydney and draws upon the Circles of Social Life approach described at CirclesOfSustainability.org. The Histomaps are a visualization of the Ross Spiral Curriculum in a chronological, two-dimensional format at each grade level that emphasizes the integrated learning experiences among domains and traces the links between related content across these disciplines. They also serve as a tool for grade-level teams to view and identify common curricular elements and refine their relationships over a year of learning. Overlays reveal and explicate the cross-grade threads that are present as patterns and relationships in the Cultural History narrative. With the Ross AR Spiral, users can explore highlights of the Ross Spiral Curriculum in Augmented Reality. The AR Spiral actualizes the curriculum in physical space, presenting a bold step towards what we term “digital differentiation.” The involvement of a dynamic combination of the spatial-temporal, kinesthetic, visual, and logico-mathematical intelligences is made possible through the use of the AR medium. Download the app onto your device from the App Store or Google Play and direct it at the target image to launch the Ross AR Spiral. Click the hotspots that appear around the Spiral to explore important moments in the Cultural History narrative and learn how other disciplines converge around it.